For Gamer Benjamin Lupo aka DrLupo, age is just a number. A firm believer in 'You're old enough, If you're good enough' he has everything; perfect family life, perfect career, that everyone wishes for at their 30's. The Nebraska-native is a video gamer known for streaming video game content on Twitch and YouTube. Breakthrough for his gaming career was after the rise of the online game Fortnite which skyrocketed his popularity. As a professional gamer, Lupo has amassed more than 2.5 million followers on Twitch and 1 million subscribers on YouTube. DrLupo, whose real name is Benjamin Lupo, was born on 20 March 1987 in Omaha, Nebraska. He liked playing computer games since his early days and later turned his hobby into a profession. He then started streaming live on Twitch in 2013. And after three years, he officially got accepted to become a Twitch partner, which paved the way for his career to become a streamer. After opting to become a full-timer streamer, he quit his job as a system engineer in March 2017. Progressing along his career as a Twitch streamer, he became friends with a top gamer named Tyler ‘Ninja’ Blevins who helped him in his early streaming career. Since then, he has been amassing thousands of followers on his self-titled YouTube channel. As of now, Benjamin Lupo is undoubtedly one of the most popular gamers in Nebraska. How Much Is DrLupo's Net Worth At Age 21? DrLupo, being a professional gamer, keeps up the pace with 10 to 13 hours streaming of his content in a day which accumulates millions of views on the Twitch streaming platform. His streaming popularity supplemented by over 1 million subscribers on his self-titled YouTube channel fortify that he's earned quite a net worth in recent times. However, the exact number of his net worth is still under calculations. As being a gamer, it is one's dream to have a partner who supports gaming. 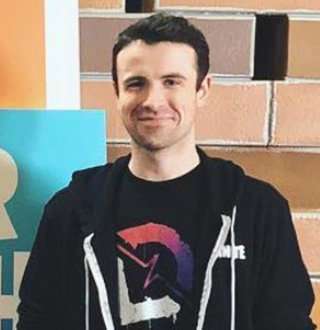 Fair enough to say, DrLupo has had the privilege of a loving partner alongside his gaming career. Despite the fact that her real name stays behind the cameras, it is known that they are together for more than 8 years and Mrs.DrLipo handles DrLupo's professional gaming cameras. The gamer duo also shares a child; Charlie, who made his debut in father's streaming account on 21 April 2018. Though gaming is something that Lupo loves doing, he has admitted that he needs to make time for his family more than his gaming career. Furthermore, focusing more on his family, he's made plans to retire at age 40.